Victories were hard fought for at races across the UK, including 10k’s in Leeds, Eastbourne, Peterborough and Gateshead, while racers sweated their way around a testing 5k course in Norwich. The searing temperatures seriously affected times at the 10th edition of the Simplyhealth Great North 10k on Sunday (July 8), with only the top three men breaking 35 minutes and Charnwood and Great Britain’s Gemma Steel placing sixth overall. Steel’s 35:22 winning time paid testament to the blisteringly hot weather, the international road running ace having run more than two minutes quicker just five weeks earlier at the London 10,000m. Heaton’s Danielle Smythe did well to finish just 30 seconds shy of her PB to secure the second lady spot in 37:57, with home girl Mary Ferrier from Gateshead Harriers claiming the final podium position in third with 39:57. Veterans made up the top three men’s places, with Chris Steele seeing off strong competition from Gateshead’s Conrad Franks to take the overall victory in 33:16 to Franks’ 33:23. Evenwood’s V45 John Clifford was a clear third in 34:22. Even with this hugely competitive race being put back an hour because of the Lord Mayor’s procession, the heat was still very much on for the 198 competitors at this famous sub-20 5k in Norwich. Racers are only allowed to enter if they can get around the two-lap winding course in less than 20 minutes, and famously if runners are passing through half way in over 10 minutes they are asked to drop out. However, clearly some slow dramatically in the second half, resulting in the last 30 entrants in this year’s race finishing over the advertised time. 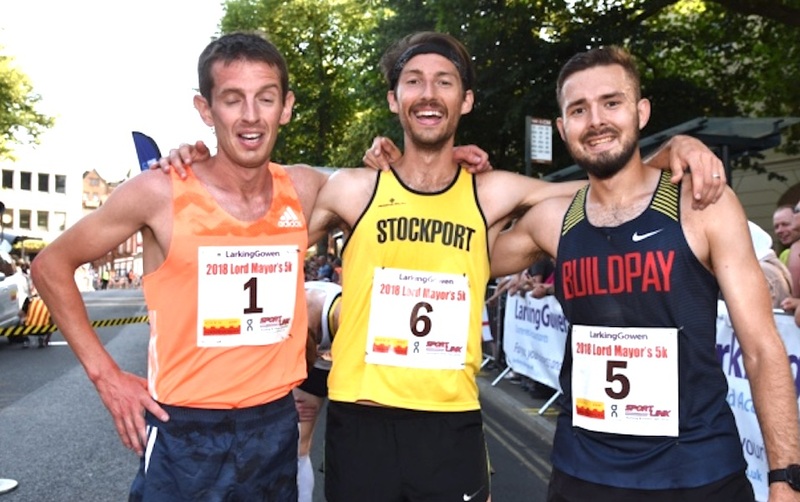 The intense heat put paid to course record attempts by the top athletes, but Stockport Harriers’ Adam Visokay got close with a 14:21 time in victory, just 10 seconds shy of Olympian Paul Evans’ best for the event of 14:11. Shaftesbury Barnet’s Kieran Clements and Newham & Essex Beagles AC’s John Beattie were less than 10 seconds behind between them, with Clements clocking 14:26 for second and Beattie’s 14:30 enough for third place. 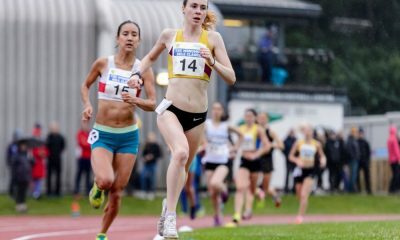 Commonwealth Games 3000m steeplechase star Iona Lake kept the top women’s prize on home soil when the City of Norwich ace ran a classy 16:33 to take the win. While her time was some way off Gemma Steel’s course record 15:59 it still represented an excellent run for the bubbly athlete. 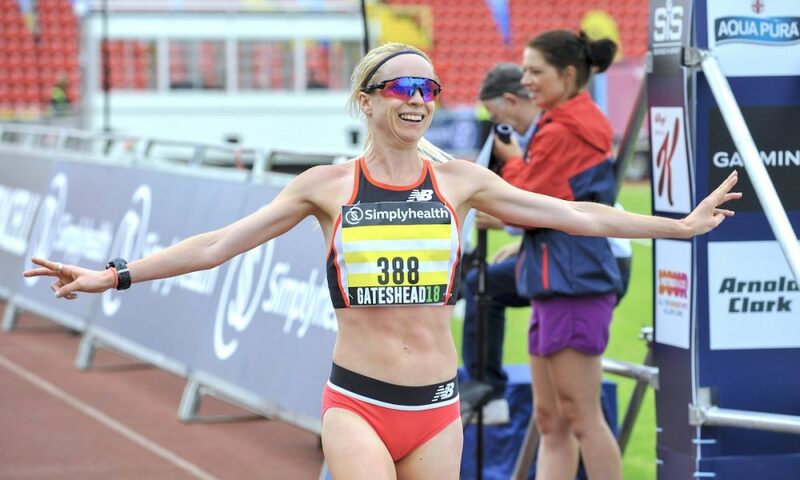 Ipswich Jaffa’s comeback queen Helen Davies added to the joy of her England selection for the forthcoming Toronto marathon by running a strong 16:41 for second place, just ahead of Lake’s club mate Sarah Astin, who ran 16:47 to complete an impressive top three. Runners were grateful for even the slightest of sea breezes as they raced along the scorching seafront at this picturesque race along the Eastbourne coastline in what one Twitter user described as being akin to running through ‘the fires of hell’ it was so hot! Again, times were down due to the conditions, but that doesn’t detract from the effort that went into completing the race in such intense heat. London Heathside’s Alex Collins took the win from his namesake Tom Collins and Burgess Hill’s Jamie Topping, with times of 36:39, 39:00 and 39:10 respectively. Hailsham Harriers’ Rachel Hillman took the women’s race and finished 8th overall with a superb 39:51 result, well ahead of Eastbourne Rovers’ Louise Oliphant, who ran a valiant 44:16 for second. Meads Runners’ V40 Gill Wheeler fought the heat to secure third in 45:37. The streets of Leeds were on the verge of melting under the strain of the sun and hundreds of runners taking on the latest edition of this Run For All event, as just 35 seconds separated the top three men’s results. John Hobbs clinched the win in 32:32 ahead of Ben Douglas’s 32:51, while Leeds City AC’s Jake Callis nearly caught Douglas in third, eventually crossing the line in 33:07. The City of Hull’s Becky McDonald’s 39:21 was enough for a well-earned victory in the women’s race, while Aisling Wall was never far behind in second with 39:44. South Yorkshire Police AC’s Natasha Dawson took the third prize in 40:20. Results were more impressive at the inaugural Peterborough trail 10k as competitors traversed uneven terrain around the city’s paths and meadows on a very hot morning in Cambridgeshire. Ruslanas Seitkalijevas was the first victor of this trail event in 36:58, just seven seconds ahead of second-placed Vitas Gapsevicius’ 37:05, who himself just held off third-placed Steven Wilkinson by one single second. Ever improving Chloe Finlay from Peterborough AC added another victory to her year’s results when she finished first lady in 38:59. 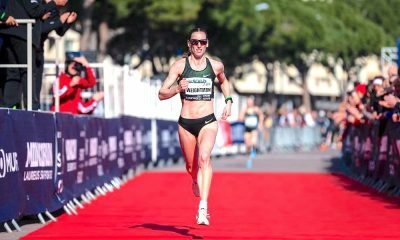 The RAF athlete has knocked 90 seconds off her 5k time this year and more than two minutes off her 10k best, with more to come over the 10M and half marathon distances if she chooses to contest them in 2018. The top three female athletes kept the prizes local, with Eye Community Runners’ Sam Cullen putting in a great run to finish second in 41:11, while Finlay’s club mate and training partner Sarah Caskey took third prize in 42:10. 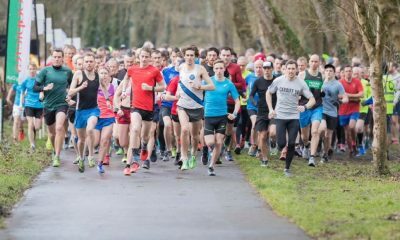 Cardiff AAC’s Matt Clowes ran the quickest time this weekend at parkruns across the UK with a 14:46 performance in Cardiff. Rachel Robinson claimed the women’s top spot with a 17:04 run in Hull. 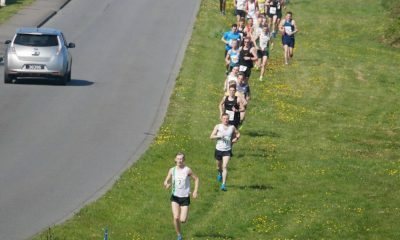 It was a 5k personal best for the Vegan Runners and Marshall Milton Keynes athlete. Back in May Robinson ran a 10k PB of 35:59 to finish in 22nd place at the London 10,000. The parkrun top 10 can be found here.